The Somerset-Pulaski County Development Foundation was joined by Somerset Mayor Eddie Girdler and Pulaski County Judge-Executive Steve Kelley in announcing that RSTMEX Company -- now operating in Mexico -- will be relocating several manufacturing businesses to Somerset and rebranding as RSTUSA. 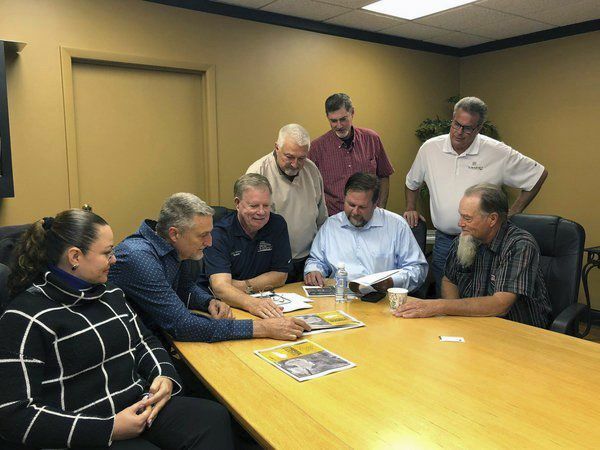 Girdler, Kelley and SPCDF Executive Director Martin Shearer met with RSTUSA Director Christopher Jarvis and other company representatives Friday to discuss a planned relocation investment of $22 million with jobs expected to pay a minimum of $15 per hour plus good benefits. The company's manufacturing sectors include RST building systems, metal casting for automotive and general industry, automotive molds and dies, energy-efficient lighting systems and more. Shearer said the company will produce, among other items, metals and foam products for residential, commercial and industrial buildings. Judge Kelley described the building systems as "engineered home kits."